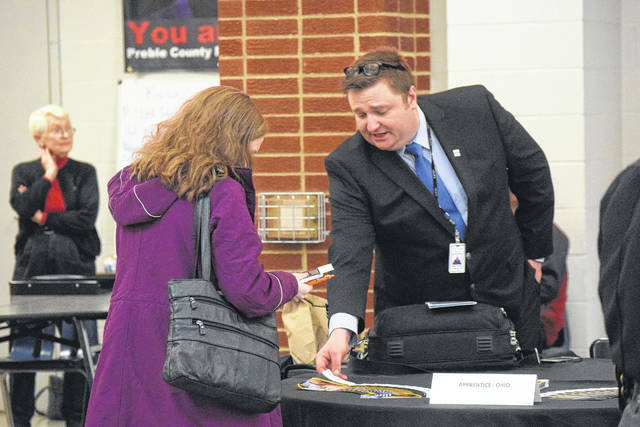 Preble County’s Annual Winter Career Fair was held at Twin Valley Community Local Schools on Wednesday, March 7. 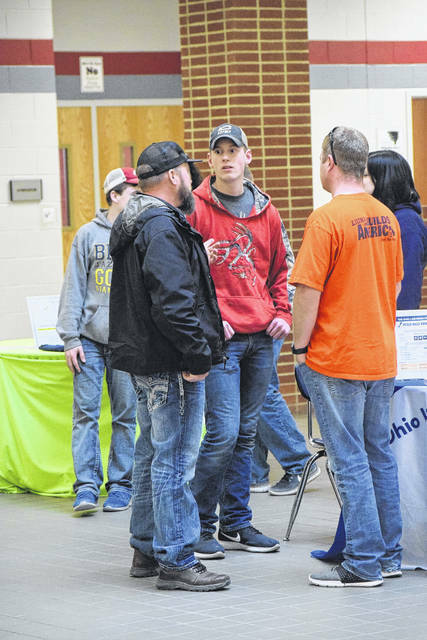 The event brought 23 local employers from different fields to interview with job-seekers in the area. 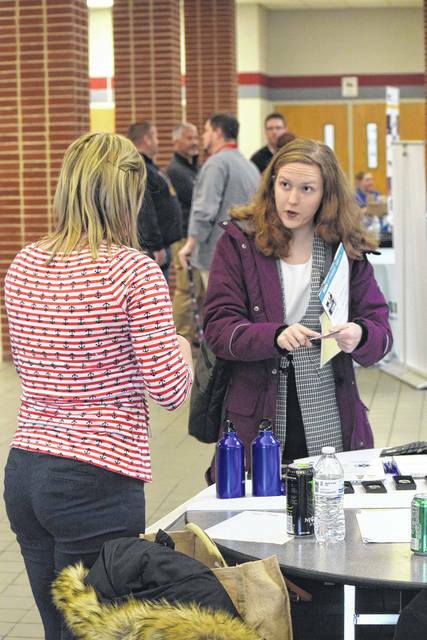 WEST ALEXANDRIA — Preble County’s Annual Winter Career Fair was held at Twin Valley Community Local Schools on Wednesday, March 7. The event is sponsored by CareSource and co-sponsored by the Preble County Development Partnership (PCDP), OhioMeansJobs Preble County Job Center, and the Preble County Chamber of Commerce, with the intention of informing local job-seekers of the numerous opportunities available in and around Preble County. 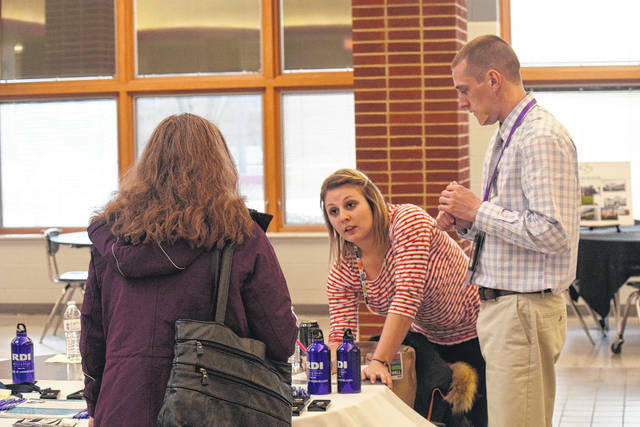 The career fair was open to the public, with childcare provided free of charge by local National Honor Society students, for children aged 2-12. 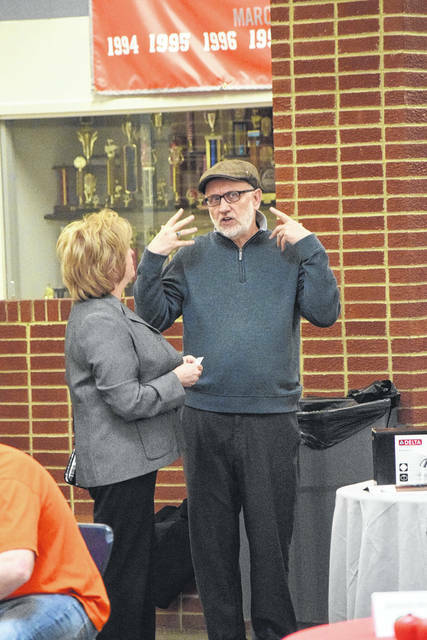 The local Kiwanis club had food available for purchase for those in attendance. 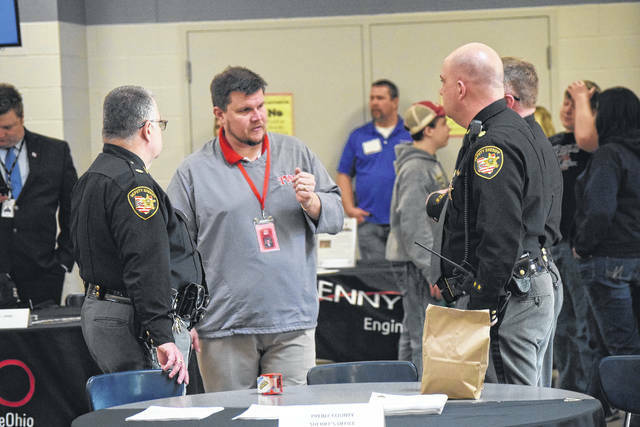 There were employers from all different industries, including, but not limited to: Avon, B Concrete Inc., Empowering People Foundation, Fitzwater Tree & Lawn Care, Pratt Industries, Henny Penny, LCNB National Bank, Maple Gardens Rehabilitation Center, Meridian Health Services, Preble County Sheriff’s Office, Primex/Reid Health, and Staffmark. 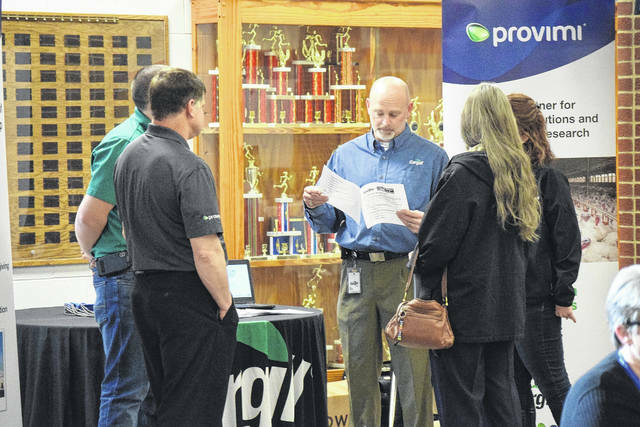 According to Jesse Reed, Manager with the CareSource Life Services Job Connect Ohio Team, this was the first year CareSource partnered with Twin Valley to host the Winter Career Fair, though Twin Valley did host the event last year as well. 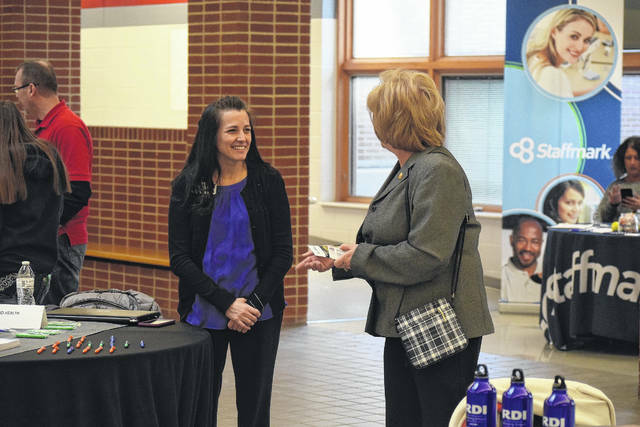 “What we do at Job Connect is we help connect our CareSource members to find employment and education opportunities. We saw this as an opportunity for us to leverage our marketing, media, and team, since the event aligns with our mission,” Reed said. CareSouce Life Services was helping all who came in the building with their resumes, cover letters, or other job skills. 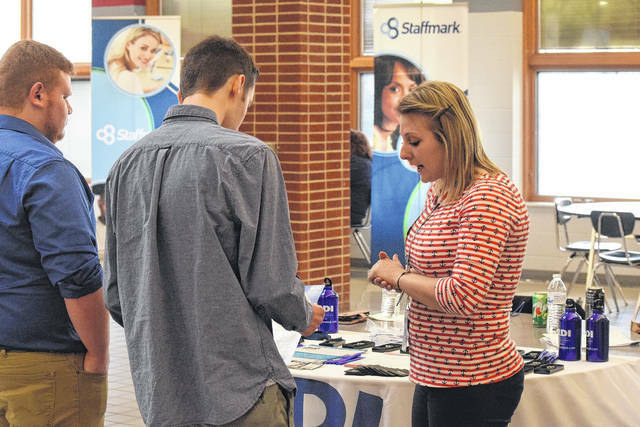 Employers were interviewing on the spot and CareSource was helping to ready all, not just CareSource members, with preparing for work. 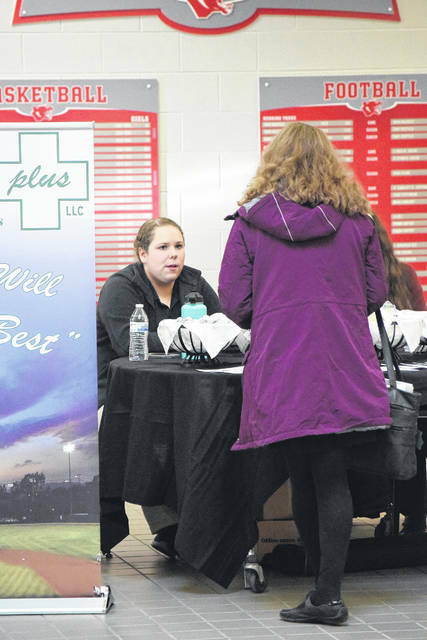 This was the second year Twin Valley has played host to a hiring event of this scale, where the unemployed and underemployed can meet with local employees and take advantage of on-site life coaching, job readiness, and resume support, according to organizers. 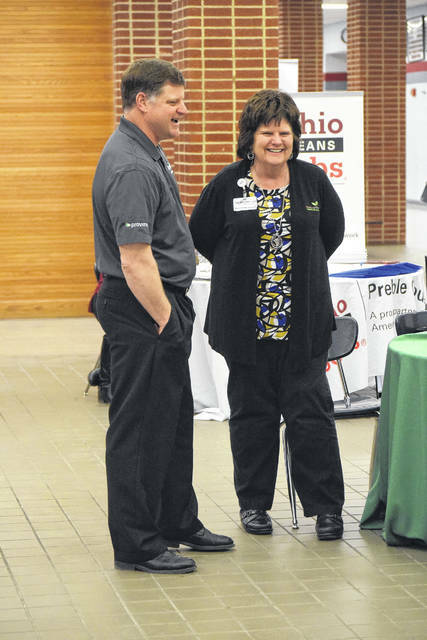 Erin Harris, with OhioMeansJobs, said, “We did have a job fair last year, but we had not partnered with CareSource at that point, so this is our second big event here. I did meet with CareSource about a month ago, we went door to door getting employers signed up. I think we had a pretty good turn out. From my understanding I believe there are about 23 employers here. I also advertised, on my end, for the job-seekers. “I think this shows that we can all work very well together to help our community and help these individuals find jobs. Hopefully, if someone is looking for work they can come out here and find employment. 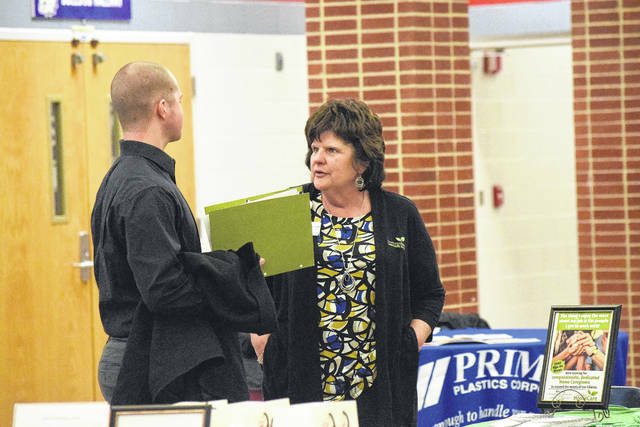 We do have many employers in and around Preble County who are in desperate need of employees. A lot of people feel like there aren’t jobs out there, but that really isn’t the case. There are many more jobs out there then people realize. 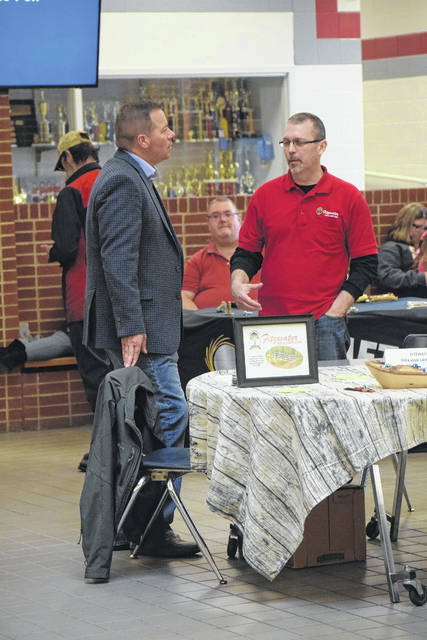 As for Twin Valley Community Local Schools Superintendent Bob Fischer, he believes it is the school district’s responsibility to give back to the community and inform them of available opportunities. 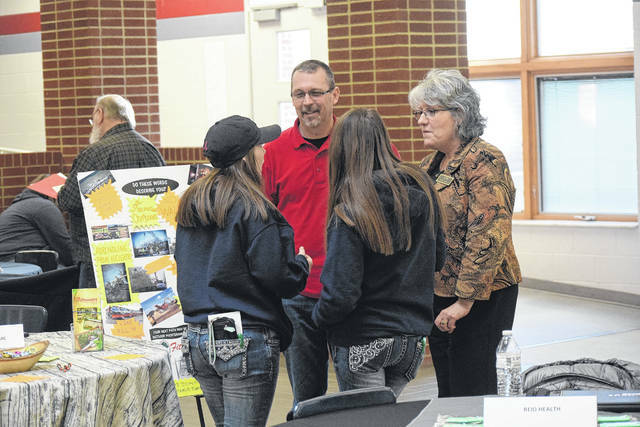 “The Job Fair, or Career Fair, is the one that we re-instituted last year. 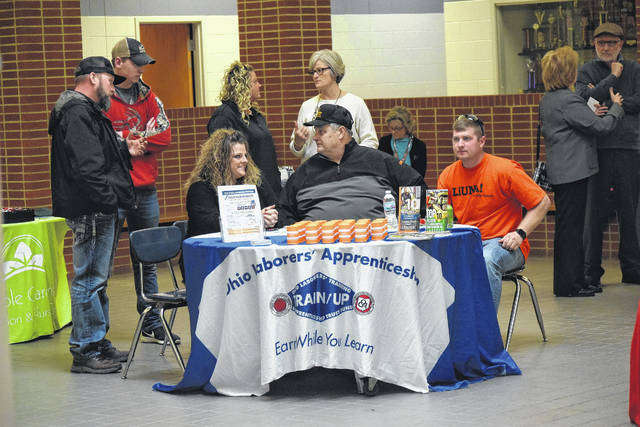 It was in February of 2017, and there has been other ones in Preble County, but this was the first one organized by Preble County Developmental Partnership in conjunction with the Work Force Development Committee,” Fischer said. 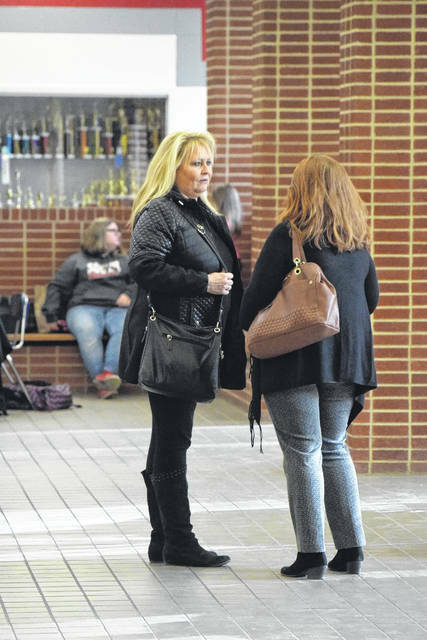 “We had great success last year — we had close to 30 business and there was probably 125 to 150 people who walked through. We wanted to make sure it was something we continued. This is actually the second once this year. They did one back in October at National Trail. 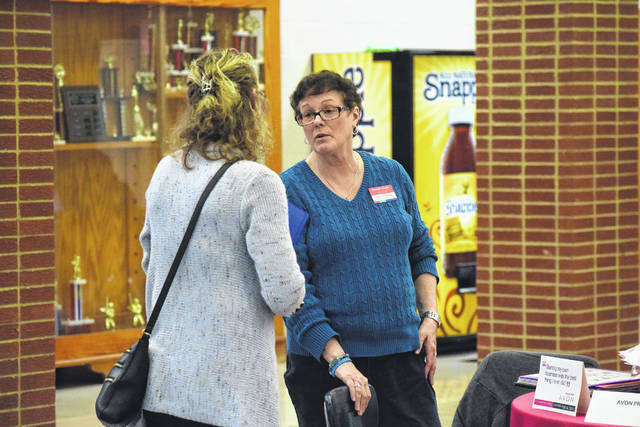 He added, Twin Valley Community Local Schools is the perfect place to host an event, because they are a staple of the community. People are used to being in schools, so they are able to be comfortable. Plus, the school has the facilities needed to host an event of that size. 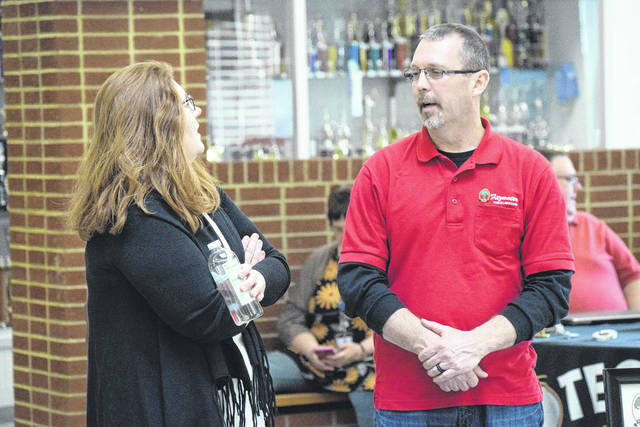 “Our hope is that by time all this is said and done, it would be great to say we had 200-300 people come through the doors,” he said. “The schools are a great avenue to allow that to happen, because it is an open environment that people are used to being a part of. “There are a lot of jobs that are out there that people may not know about. This is a perfect opportunity for them to learn about what is available for them in the County. Our goal is for us to keep our resources in our County. 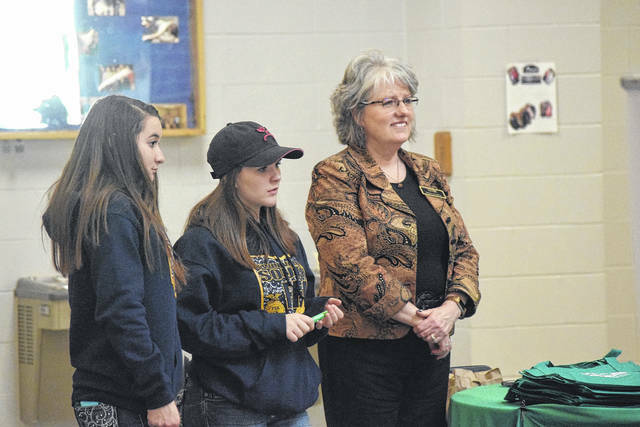 Our resources are our students and our people,” Fischer continued. 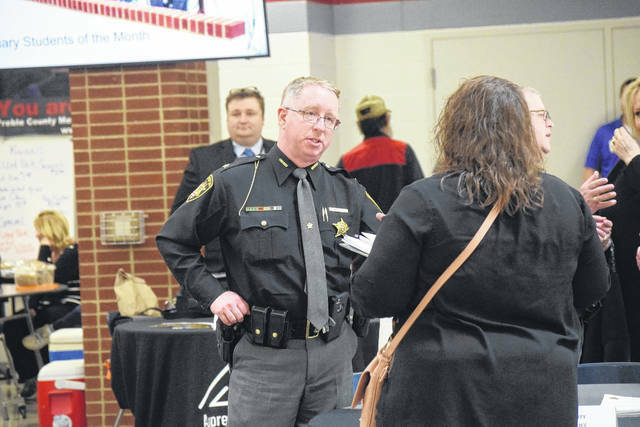 https://www.registerherald.com/wp-content/uploads/sites/41/2018/03/web1_JF6.jpgPreble County’s Annual Winter Career Fair was held at Twin Valley Community Local Schools on Wednesday, March 7. 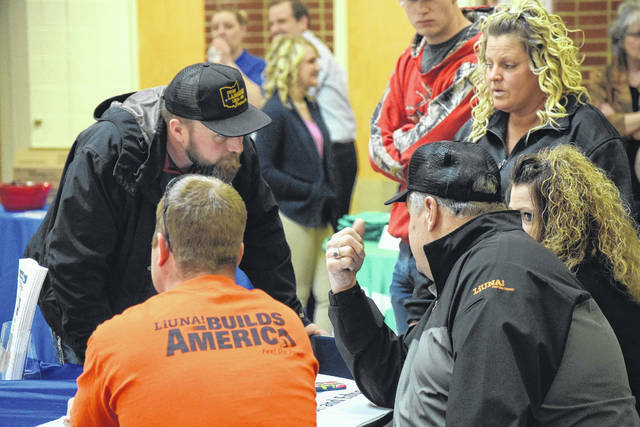 The event brought 23 local employers from different fields to interview with job-seekers in the area.